We enjoy insuring restaurants almost as much as we enjoy eating at them. At Joyce Insurance Group, we understand the unique insurance challenges restaurant owners face. Our team takes pride in helping our clients find the right business insurance coverage, to fit your unique needs. Since 1955, we've earned the trust of generations of restaurant owners throughout Pennsylvania. 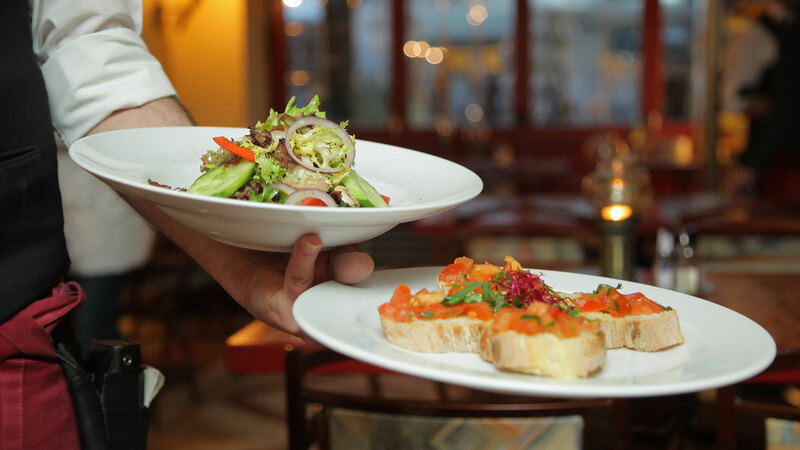 With access to a large network of A+ rated insurance companies, we can offer you a full menu of restaurant insurance programs tailored to fit your needs. We insure all types of food and service establishments including Fine Dining, Fast Food, Family Style, Diners, Bakeries, Pizzerias, Buffett’s, Deli's, Coffee Shops, Bars, Night Clubs, Taverns, Breweries, Distilleries, Food Trucks and Franchises. Restaurant Insurance Programs, Commercial Property, General Liability, Liquor Liability, Business Income Loss, Equipment Breakdown Loss, Workers’ Compensation, Spoilage Coverage, Employee Practices Liability Identity Theft and Cyber Liability Insurance... we've got you covered. "Bill Joyce and his team were great to us for years. Service was smart, fast, and priced right - just like mine - but it wasn't until the flood-devastated my family's restaurant that I knew that this is no ordinary man and operation. Words cannot express what it felt like to go through what we went through and how grateful we were to have Bill working with us. We didn't even know where to start. When Bill wasn't in the trenches with us, he was on the phone or meeting with insurance companies to advocate for us. He didn't let up for one second until we were back on our feet, stronger than ever." Joe Agolino | Agolino's Restaurant - West Pittston, Pennsylvania. Mike Callahan | Callahan's Cafe and Coffee House - Pittston, Pennsylvania. "The price and coverage of Joyce Insurance Group’s Restaurant Insurance is what pulled me in - and then the service that came with that low price made me realize I made the right decision. I would refer anyone to them!" Pat Lizza | Lizza’s Mezzo Mezzo - Pittston, Pennsylvania.